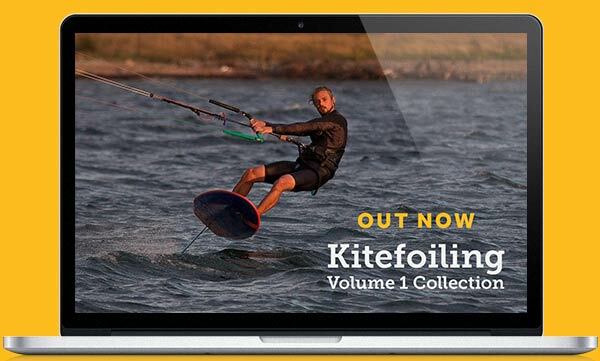 Here at Progression we have been working hard to give kitesurfers more digital options to view our premium instructional video content, following lots of customer feedback and requests in this area. 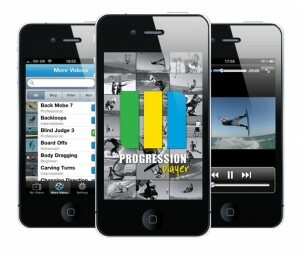 We are now excited to launch our first iPhone app, allowing kitesurfers to learn anytime or anywhere they want! The Progression Player app is free to download and will feature short promotional videos free of charge. Over 60 full instructional chapters from our library are available to download within the app from £1.99 each with all payments will be made through apple app store accounts. All downloaded videos can be accessed at all times, with no need to be online, and if you want to save some phone space for new downlaods then you can easily delete some off and downlaod them agan for free later if and when you need them. Our first edition has kept things simple, focusing on the app as primarily a video ‘player’. The app is ideal for kitesurfers who want to get that extra bit of instruction down the beach, take some instruction with them on their kitesurfing holiday or just make the most of any spare time to cram in some extra homework! We have chosen the iPhone (or iOS platform) for a number of reasons, mainly due to the stats on our website showing a high proportion of ‘device’ traffic came from iPhones or iPads and also because the apple store offers a great channel through which to distribute and manage our app. We are really keen to get as much feedback as possible so please do let us know what you think. We have lots more plans for more apps next year, all aimed at helping kitesurfers get a head start on their session and make the most of their time on the water! 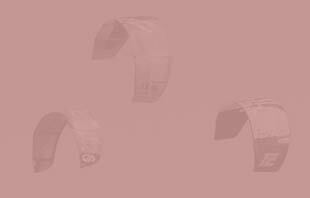 For more information, FAQ and to give us any feedback then check out the new player website here – www.progression.me/player.